Urban art is subdivided into countless styles, where the abstract expression has taken up a prominent place. A renowned Los Angeles gallery Edward Cella Art + Architecture announced an opening of an exhibition dedicated solely to abstract painting, created by a promising Californian artist Chris Trueman. Beneath the Skin will be an inaugural show for Trueman at Edward Cella space, which will present his eclectic abstract style, constructed through reinventions of references and exploration of their contrasts. The show will display his latest works represent an abstract union told through a singular visual language, designed by the artist, revealing his innermost thoughts and emotions. 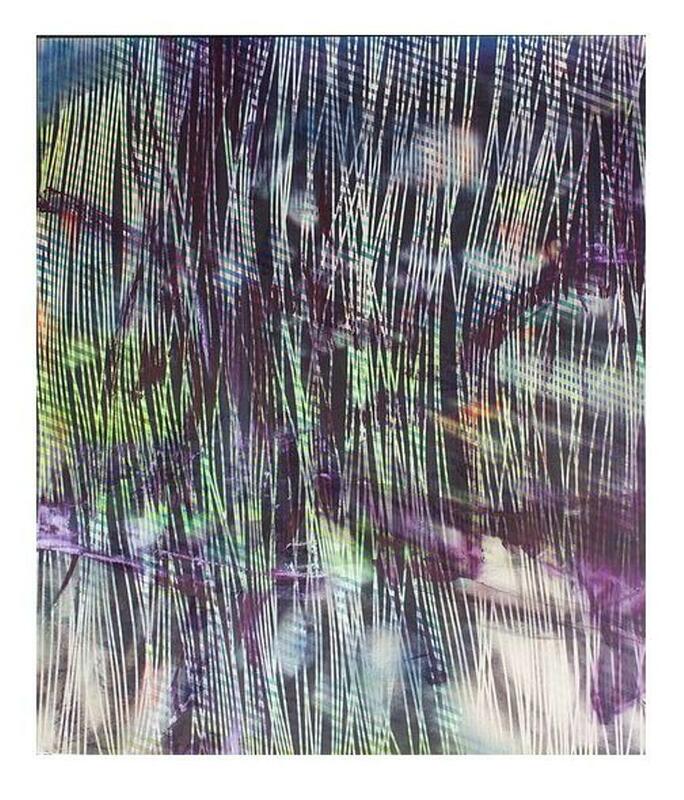 During the exhibition, Edward Cella Gallery will organize an Artist Talk with Chris Trueman, and the curator Carl Berg (April 12 at 5pm). When looked upon the abstract canvas rendered by Chris Trueman, one is instantly stricken with the way he rules the composition. Deep in color and richly painted, his works are alluring on the surface, but exude a complex undertone. His paintings contain references to several modern artistic movement, executed following principles of Abstract Expressionism, Op-Art and color-field painting at the same time. Portions of canvas painted according to the often opposing styles collide visually, and subsequently conceptually as well, making one tense, but in the end harmonious whole. Chris Trueman appears to paint freely, without burden at times, while some fragments are strictly constructed, which adds to the contrast of pure color against geometric structures supporting the composition. It is hard to single out the dominant influence in Chris Trueman’s painting, as contradicting concepts intertwine and coexist in his multi-layered, visually intriguing abstraction. What makes these paintings so fresh is the new approach to already stale styles and employment of new media. The viewer is attracted to the dynamics of canvas achieved through contrasting elements, both visual and technical. 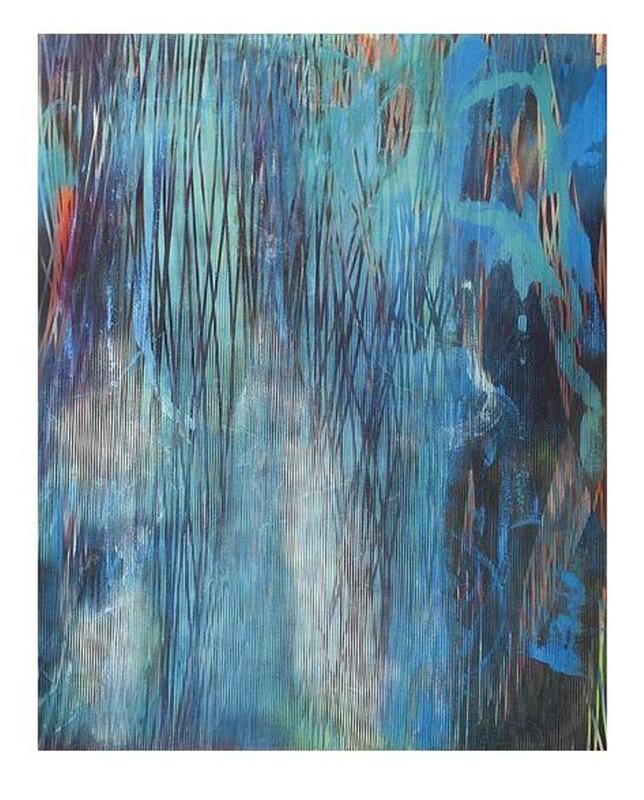 Chris Trueman chooses a very contemporary technique of acrylic and spray paint, which enhances the novelty and excitement of his works. 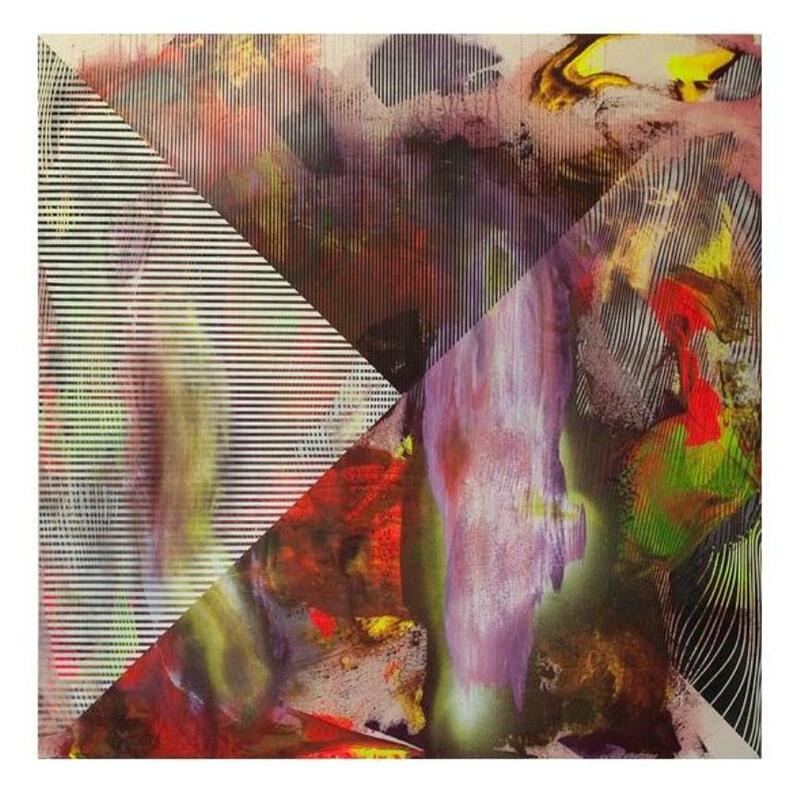 He continues to explore his referential points found in art history of the previous century, as he keeps conjuring up completely unique, new and interesting pieces, composed of geometric fragments, color fields and suggestions of physical gesture. 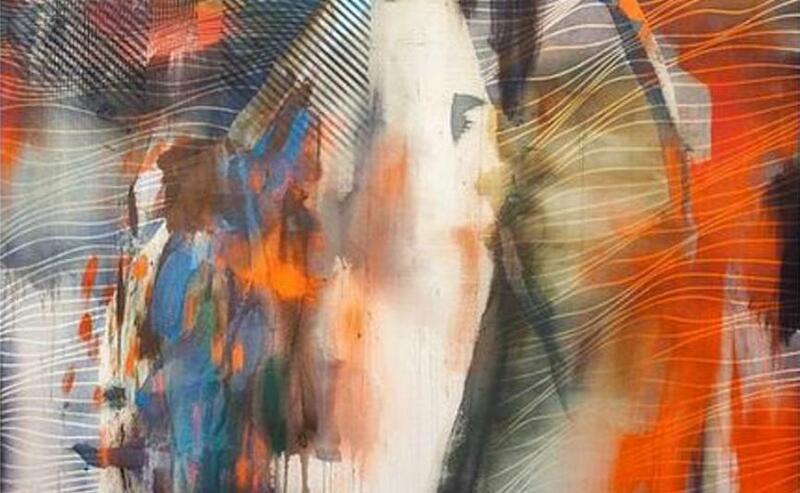 Chris Trueman was trained at San Francisco Art Institute, where he graduated in 2003 in Painting and Digital Media. He completed an MFA program at Claremont Graduate University in 2010 successfully. Trueman’s paintings have been exhibited throughout the country, including spaces in San Francisco, Los Angeles, San Diego. He accomplished an international show in Milan, Italy. One of the notable exhibitions was presented recently at the Lancaster Museum of Art and History, titled Slipstream. 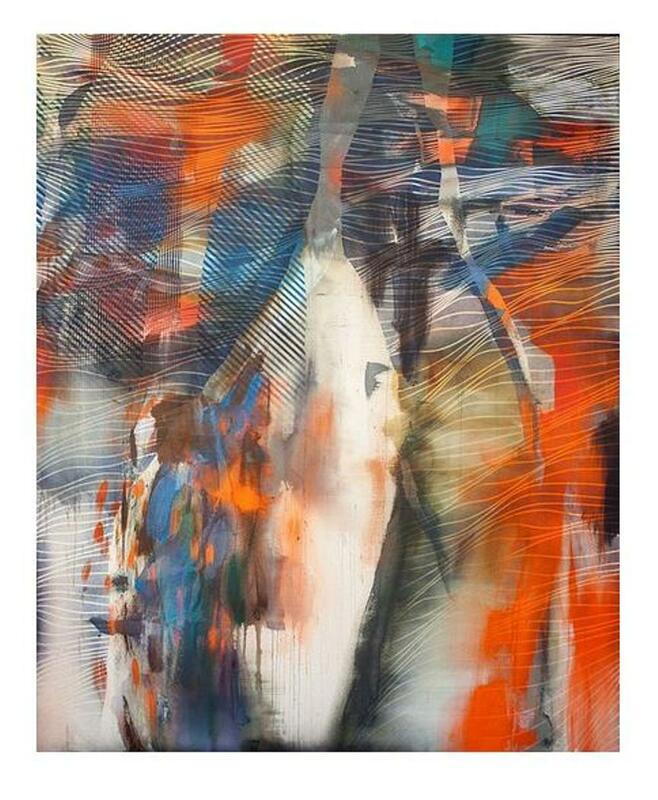 Chris Trueman participated in numerous group exhibitions, including To Live and Paint in LA and The Subterraneans at the Torrance Art Museum. Trueman’s work is constantly gaining more attention, and it has been featured on many art fairs, including those held in Dallas, New York Pulse, Houston, Miami Pulse and San Diego. He received several awards while still in school, one of which was Ann Peppers Foundation Fellowship and a Claremont Graduate University Merit Fellowship. His paintings were featured in respectable magazines and publications.